I know it’s been a while since I last posted on this blog, so I thought I would make it up to you by providing a free tool that is now available on my website. It’s called the Self-Care Checklist. It’s a very simple approach, but I have found, time and again, that it can and does work for many people. I realized that I was using this idea quite often in my practice, and so I decided to make a ready-made template for everyone to use. I’ve always been someone who loves to-do lists. It helps me organize my life, and get things done. If this sounds like you, then this might be a great tool for you to use if you want to adopt some new long-term health habits. Included with this tool is a page on how to set appropriate expectations and goals (AKA the kind that you will be successful at accomplishing!). You may not be aware of it, but odds are, you have a potent, disease-fighting arsenal in your kitchen cupboards. Many of the common culinary herbs and spices not only have the power to transform bland dishes into sheer heavenly deliciousness, they also pack quite a potent, health-boosting punch. Over the next while, I aim to bring you some profiles on some of my favourite herbs and spices, along with ideas for incorporating them into your diet. 1. Explore Indian and Thai cuisine. 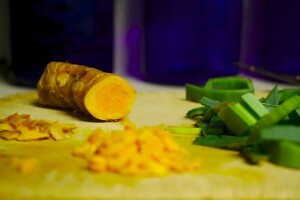 Turmeric is widely used in many Thai and Indian dishes. The most obvious would be yellow curries, one of the most delicious means (in my opinion!) of enjoying the spice. Not only are these cuisines incredibly tasty, they are generally gluten-free, and often dairy-free (or easily made so) as well. The added bonus? You can even get a good dose of turmeric in while treating yourself to a meal out! 2. Add it to soups and stews. A pinch of turmeric is an easy and mild-tasting addition to many soups and stews. There are many recipes out there for soups featuring turmeric (a quick Google search for “turmeric soup” will yield hundreds of delicious ideas! ), or you can add a dash to your own favourite recipes. Turmeric pairs best with garlic, onions, ginger, black pepper, cinnamon, cumin, and coriander, as well as dishes featuring rice, lentils, and vegetables. 3. Add a pinch to your smoothie. Similarly to soups and stews, turmeric is very easily added to your smoothies. It pairs well with common smoothie ingredients such as ginger, cinnamon, and coconut. Turmeric can also be easily made into a tea. I recommend it often, paired with ginger and a touch of honey. Make ginger tea (you can use either fresh or dried ginger) with boiling water, and add ½ tsp of turmeric, and honey to taste. You can certainly add less turmeric if you find the taste overwhelming, or add more if you enjoy its pungent aroma. Because of the warming properties of ginger, this combination is especially wonderful in the cold winter months. If you want the health benefits of dietary turmeric, but aren’t a fan of its taste (or just want something more convenient), try Turmeric Bombs! When made with the honey option, the taste is easily masked, although I prefer the additional health benefits of the coconut oil. I consider the quercetin to be optional, and make mine without it. There are also many (very potent) supplements on the market that contain curcumin, a compound extracted from turmeric, and they are very useful for a variety of health conditions. 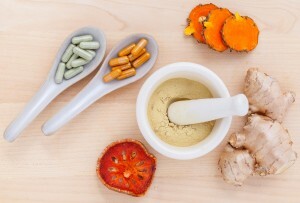 Because they are much more potent than dietary turmeric, I recommend consulting a qualified Naturopathic Doctor to see if these supplements are right for you. If you want to know more about the wonderful world of spices and health, one of my favourite books is Healing Spices by Dr. Bharat B. Aggarwal, a leading researcher on turmeric and other spices. We all know that food, exercise, and sleep can have major impacts on our health, and that these are all lifestyle habits that are within our power to change. But there’s another big one that we really don’t talk about enough: socializing. Research has been showing more and more that social isolation and/or a sense of loneliness can have some serious impacts on health. It has been shown to be a risk factor for high blood pressure, depression and other mental health concerns, poor sleep, changes in gene expression, and even an overall increased rate of death and disease. While this connection has been most often studied in the elderly, it affects us all, and is a very common problem in our modern world. The good news? There’s a lot we can do to combat social isolation and loneliness. The even better news? Anything that you do to break your own feeling of isolation, is inherently going to help someone else break theirs, too. Here are some ideas that you can start incorporating into your life today. 1. Make a point of connecting with a friend or family member once a day. Pick up the phone, go for coffee, or reach out to someone you’ve lost touch with on Facebook. Catch up, find out what they’ve been up to and how they’re doing, and you’ll notice that you probably feel more connected already. Showing genuine interest and reaching out can not only strengthen existing friendships and family bonds, but is also a pretty simple way to pull yourself out of a lonely funk. Strong, long-term bonds with friends and family are the best way to avoid loneliness, but as with all relationships, they require some nurturing. Avoid taking these important people for granted, and take the initiative to make sure you stay connected. Interestingly, a lot of people report feeling lonely even in big cities, where they’re always surrounded by people. But having people around is not the same as connecting with them. This one might sound scary to you, but you’d be surprised at how often strangers will enthusiastically respond to you initiating a conversation. Start small: engage in some friendly and positive chit-chat with your barista, cab driver, server, cashier, or any other person you deal with during your day. It may take some practice, but it’s worth it! Learning to talk to strangers has the great additional benefit of boosting confidence. If talking to strangers feels too overwhelming, try simply making eye contact and smiling at someone. They will almost always smile back. Even this very small gesture can turn someone’s day around (including yours!). There has been a lot of enthusiasm lately for performing random acts of kindness, and for good reason! Not only can this give you the warm and fuzzies, it helps to build a sense of community and connection with the people living around you. Small gestures, which don’t have to cost you a thing, can mean the absolute world to someone else, and can wipe away that feeling of isolation for both of you. Help that parent struggling to get a stroller onto the bus, or help someone elderly or in poor health shovel the driveway (or brush off their snow-laden car). For more ideas and inspiration, check out this website. Similar to performing acts of kindness, volunteering can create social connection, and chase away loneliness. A lot of people think of volunteering as selfless, or sometimes even self-sacrificing, but I beg to differ. The benefits to the volunteer are just as great as the benefits to the people they are helping. The wonderful part about providing service to others is that we simply can’t do it without feeling a little better and more connected, ourselves. There are no shortage of volunteer opportunities; try to find one that appeals to you, and that will lead to interacting with other people regularly. 5. Join a group that gets together regularly. What do you enjoy doing? Whatever it is, odds are that there are other people out there who like it, too, and that provides a natural means of connecting with others. Seek out a group with similar interests, whether that’s a recreational sports league, a knitting group, a book club, or regular board game nights, and commit to attending regularly. Not sure how to find such a group? Try Meetup, a website aimed entirely at bringing like-minded folks together, do a quick Google search, or check with a local store that sells the supplies for your favourite hobby (game stores, craft stores, etc.). Many hobby-related stores will have groups that meet on-site. 6. Do items 1-5 sound terrifying? Make use of the Internet, social media, or even a pen. People with certain concerns, such as severe social anxiety, may find the above suggestions overwhelming and/or absolutely terrifying. I understand. While I strongly encourage you to seek help with addressing these issues (if you haven’t already), know that you can still make connections in other ways. Stay in touch with friends and family through writing if that’s easier (emails, letters, social media, etc. ), and reach out to online communities of like-minded individuals. 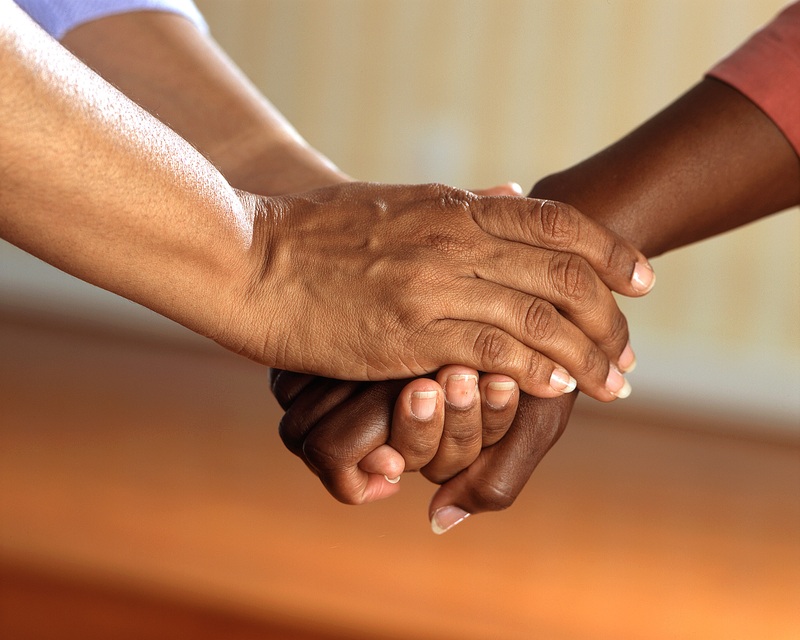 There are forums and support groups of all kinds available, and they can be a wonderful way to connect and keep loneliness away. Don’t Like Green Tea, But Want Its Health Benefits? Try These Tips! I talk about all varieties of teas in my office all the time; I love them! Green tea offers a wide variety of health benefits, including prevention and treatment of atherosclerosis, high cholesterol, some types of cancer, dental cavities, diabetes, obesity and more! Everyone knows that green tea is good for us, however I often hear that people just don’t like the way it tastes. Here are some tips that can help you enjoy this nutritional wonder. 1. If You Find Green Tea “Too Bitter”, You’re Probably Making It Wrong. Unless you’re a tea aficionado, you may be making your green tea the same way you would make black or herbal tea: with boiling water straight from the kettle, and letting it steep for a good 5 minutes or more. When exposed to high heat and steeped for too long, green tea can become very bitter and unpleasant. To make a pleasing cup of green tea, your water should be below boiling (160°F to 180°F), and your tea steeped for absolutely no longer than 3 minutes. For a more detailed explanation on making that perfect cup, see here. As an additional bonus, green tea (especially good quality ones) can often be re-steeped once or twice more, which means you get 2 or 3 cups out of a single portion of tea leaves. 2. Not All Green Tea Tastes the Same: Go Explore! If the only green tea you’ve ever had came from a big brand at the grocery store, you may be missing out! There are many varieties of green tea available, and they taste surprisingly different. My favourite place to study and write in undergrad was a tea shop in a local market in London, Ontario. I spent so much time there, that I am fairly sure I tried every variety of green tea they had (which was a lot). Some could be described as earthy, buttery, or even having a slight seaweed flavour. There were definitely some I was not so fond of, and a few that I absolutely LOVED. You can get a sense of some of the varieties here, or go talk to your local tea store to explore the surprisingly big world of green teas. If the first two points don’t work for you, try blending your green tea with another flavour that you do enjoy, such as ginger, lemon, honey, mint or any other herbal tea. Get creative, and find a balance that works for you. 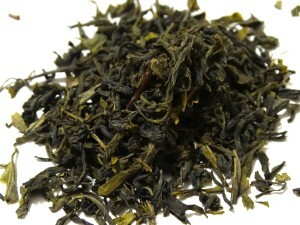 When combining green and herbal teas, it is best to stick to the guidelines for brewing green tea (lower temperature, less steeping) to avoid bitterness. Some people just don’t enjoy hot beverages. No problem! Make a big batch of green tea according to the instructions above, and then chill it in the fridge for some delicious iced tea. You can still blend it with another flavour, infuse it with fresh lemon or fruit, or gently sweeten it with honey. If adding a natural sweeter like honey, mix it into the tea while it’s still hot (otherwise it won’t dissolve properly). So, you’ve tried (or at least considered) all the suggestions above, and you still don’t like green tea. That’s fair, not everyone is going to like everything. There are green tea extracts available as a supplement, however they are much more potent than brewed tea, and are not safe for everyone. If you’re curious about whether or not such a supplement would be helpful for you, consult a qualified health practitioner who can guide you, such as your local Naturopathic Doctor. As someone who dedicated 9 years of their life to post-secondary education, I understand all too well that being in school isn’t all parties, pranks and fun. 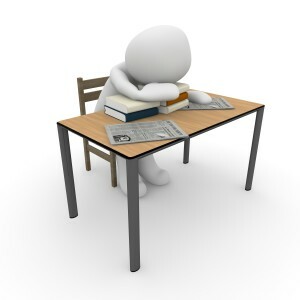 Being a student in our modern age can be highly stressful; the pressure to perform can be high, competition for post-graduate opportunities is fierce, and adapting to a more independent life away from home can be tough. The media in recent years has been full of stories about the rising rates of student anxiety, depression, suicide, and other mental health concerns. Students often don’t know where to turn for help, and overwhelmed, in-demand student services and programs are not always accessible when they’re needed. I’d like to help, which is why I’m offering a talk for students on January 19th and 20th on strategies for managing stress and boosting mood and brain power naturally. 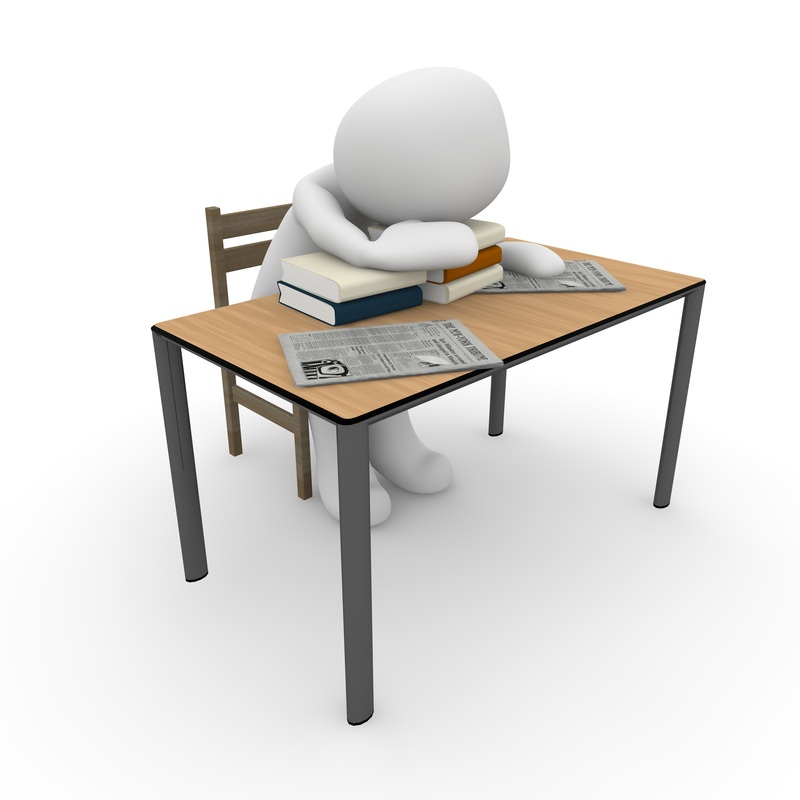 Join me for an hour and learn how to get out of survival mode, and into a thriving student life. Yes, even during finals! Whether you’re a high school, college, or university student, this talk will give you some practical tools to succeed. The talks will be held at Sage Wellness on Tuesday January 19th from 7-8 pm, and again on Wednesday the 20th from 12-1 pm. For more information, contact Sage Wellness at 613-235-7243, or send us an email here. Go have as much fun as this dog! Some people thrive at the gym. Others… not so much. I love helping people find creative ways to get moving. If you’re struggling to get active, are bored with what you’re doing, or just want to increase your overall activity level, these 5 ideas are for you! Do you remember the days when being active was just a by-product of having fun? Embrace your inner child, and ditch the “workout” mentality in favour of play time. If you have kids, play active games with them, like Tag. It’s simple, but it will get you moving, and it’s great quality time to spend with them. No kids? No problem! Grab some friends or family, and organize a pick-up game of boot hockey/soccer/ultimate frisbee, go play laser tag, have a Nerf fight, or anything else your imagination can conjure up. Don’t let the winter weather get you down, either. Snow offers ample opportunity for active play: build snow forts, go tobogganing, or ice skating. The other adults will be jealous. Make Fido’s play time yours, too. 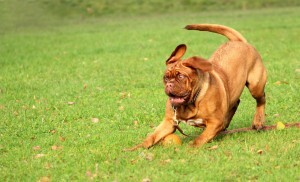 If you have a dog, you know just how much they love to play. Much like kids, they have no idea what a “workout” is, and their enthusiasm can be contagious. Embrace your pet as a fitness buddy, and you can get a great workout in while having a ball (pun intended). Don’t just stand still and throw things for them! Get involved in a game of tug-of-war over that stick or toy (this can be an especially great arm and back workout if you have a big dog)! 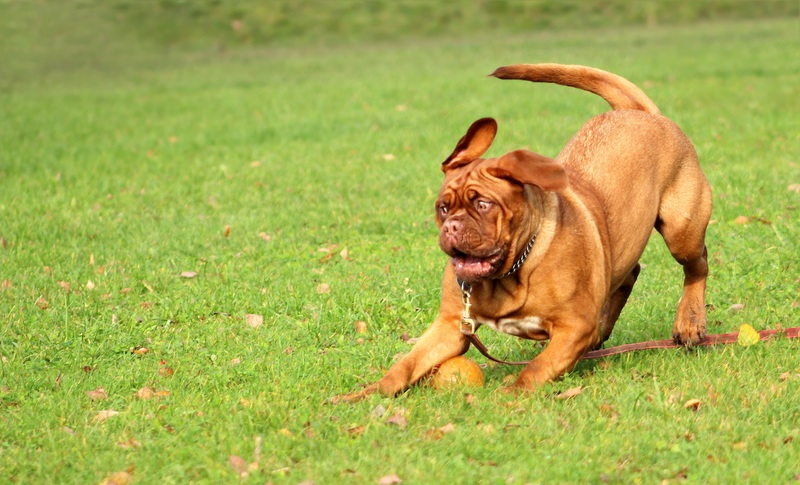 Rather than getting annoyed when your pup wants to play keep-away with their toy, accept their challenge to chase them to try to get it back. Not only will you up your activity level, but Fido will think that you’re just the absolute BEST. Doing the same thing session after session can not only get dull, it can lead to fitness plateaus that are hard to break. If you’re bored and really not looking forward to your next workout, are just feeling stuck, or are not into conventional workouts, it might be time to try something new. There’s no shortage of interesting and fun options: try hooping (think hula hooping 2.0! ), rock climbing, aerial silks, pole fitness, barre classes, martial arts training, or any of the hundreds of other options that are available. Fitness does not begin and end with treadmills and weights. Shake it up, and shake off that boredom! Exercising with others can help you stay committed. Try organizing a social outing with friends or family that involves some physical activity. Try out a new class, join a recreational sports league together (or join alone and make friends! ), or do any of the things listed above, and have coffee or dinner together afterwards. If you already participate in group classes or activities, talk to the other people there. You’ll make friends who will encourage you to keep going! Make better use of your smart phone or computer. If you love technology, embrace its ability to help you get more active. There are no shortage of fitness-related apps and websites out there, and some of them are really fun! One of my favourites is Fitocracy, an online exercise logging program that lets you level up, earn accomplishments, and interact with other users who can help keep you motivated. If you enjoy running (even on the treadmill), and are a fan of all things zombie-related, you might really enjoy Zombies, Run! Personally, I’d rather put in an 8 hour day on my bike than go for a 2 km run, but when I committed to trying my hand at triathlons one summer, I credit this fun app for helping me get through the run training I needed. Explore your app store or Google to find something that appeals to you. Still struggling to get active? I’d love to help! Come in for a consultation today, and we’ll brainstorm ways for you to get fitter and healthier! Have you heard of naturopathic medicine, but aren’t sure why or when you should make use of it? Here’s my top 5 list of reasons you should see an ND. You have a health condition. This may sound completely obvious, but many people don’t know that Naturopathic Doctors are highly trained professionals who can help with (almost) any condition. We function much like a family doctor: we can assess your health concern, including running blood tests and other lab tests, and work with you to treat it naturally. If you require a particular type of treatment or assessment that falls outside of what we can do, we will refer you to make sure you get the care that you need. You want to prevent a health condition or the need for medication. Do you have a family history of heart disease, diabetes, or cancer? Have you been told that you’re at high risk of developing a health problem, or are “borderline” diabetic? Want to spend your retirement in Europe or Australia instead of doctors’ offices? We can help! NDs are experts in prevention. While it’s true that not everything can be prevented, and sometimes bad luck happens, you have a lot more control over your health than you might think. We can work with you to optimize your chances of staying healthy, so that you can live the life you’ve always wanted. You don’t feel well, but have been told there’s nothing wrong with you, or that it’s “all in your head”. As the expert in your own body, you know when something’s not right. Unfortunately, lab tests don’t always pick up on what’s going on until you have a full blown health problem. We believe you when you say you’re not feeling well, and will work with you to figure out why. Going back to point #2, we take prevention seriously. You want to be heard and involved in your health care. When people ask me why I chose to study naturopathic medicine, the biggest reason I give is that I wanted to spend real time with my patients. In the world of modern healthcare, time is a BIG luxury that few doctors have. NDs typically offer initial visits that are at least an hour long (mine are an hour and a half), with typical follow up appointments of half an hour. We have time to hear your entire story (we’re great listeners! ), answer all of your questions, and give you the tools and education you need to take control of your own health. 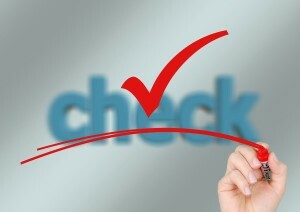 Your extended health care benefits most likely cover our services. If you have health benefits through work or a personal plan that covers wonderful things like chiropractic and massage therapy, it’s very likely that you also have coverage to see a Naturopathic Doctor. Why not come in for a chat to see what we can do for you? According to the Heart and Stroke Foundation, 1 in 5 Canadians have high blood pressure, and another 1 in 5 have blood pressure that is bordering on being high. That’s a whole lot of people! Most of us know the big things that help to manage blood pressure: getting enough exercise, watching how much salt you eat, and managing stress. Often though, these things are easier said than done. That’s where a Naturopathic Doctor can come in: I work with people to find ways to make their healthy diet enjoyable, and to make exercise fun again. I know that there’s no one-size-fits-all plan that works for everyone. If you hate the treadmill, that’s ok (really, it is! I’m not a huge fan of it, myself). We’ll work together and get creative to find something that does work for you. There are also a number of natural supplements, herbs, and foods that can help decrease blood pressure. For example, the hibiscus plant has been shown to be helpful, as has garlic, a bit of dark chocolate, and many more. Research has even shown that spending time in a sauna can help bring blood pressure back down (in addition to having a whole host of other health benefits). So yes, you may be able to combat high blood pressure while eating chocolate and warming up from the Canadian winter in a nice warm sauna. Sounds pretty good, right? If you’re wondering why you should bother seeing a doctor before using any of these things, here’s the reason: even though they’re natural, many supplements and herbs are not safe for everyone. NDs are experts on these types of treatments, and will make sure that you stay safe, avoid interactions with medications or other supplements you’re taking, and get the right dose from a high quality supplement. 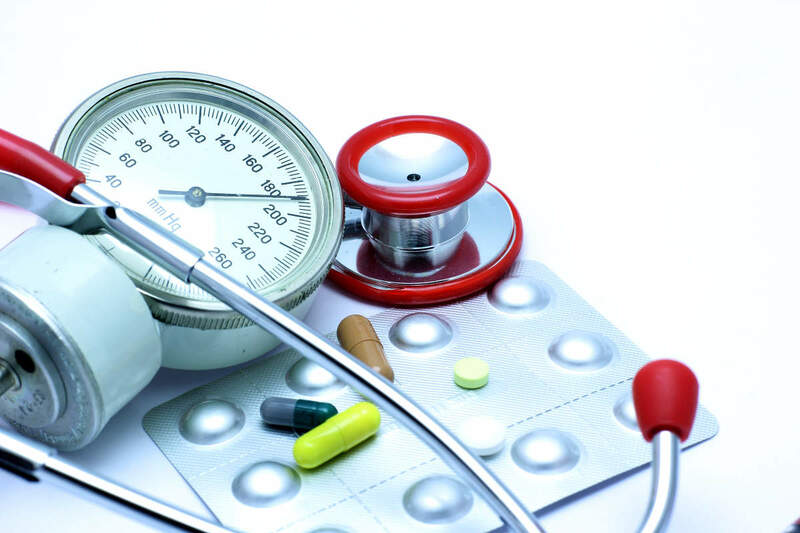 If you’d like to start tackling your high blood pressure with naturopathic medicine, or find out more about what naturopathic medicine can do for you, you can book an appointment to get started today!